Snoring isn’t something that we can control. But, what causes snoring? Some people only snore on occasion, such as when they aren’t feeling well, when they are sleeping in a certain position, or even when they have had too much to drink. But, in other cases, snoring can be chronic — and a sign of deeper health issues that need to be addressed. 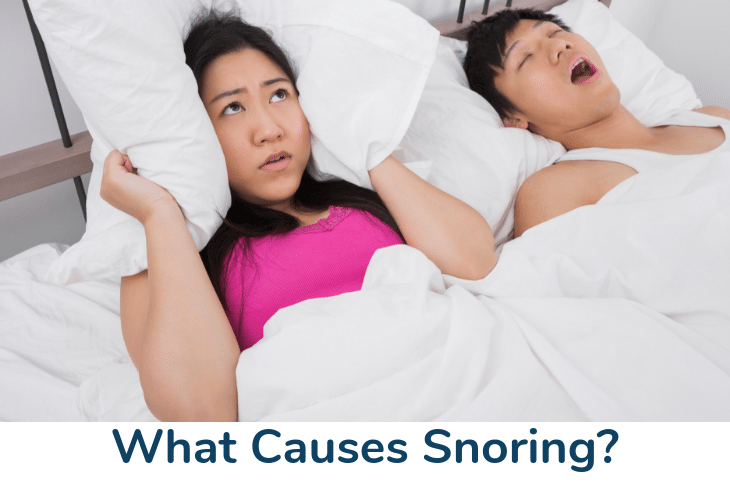 What causes snoring for you? Here’s a look at the many different causes of snoring, as well as other information on factors that might influence whether or not an individual snores. What Diseases or Conditions Can Cause Snoring? So much goes into answering the question: Why do people snore? Let’s start by looking at the mechanics behind the causes of snoring. In short, what exactly is happening inside your body when you snore? In simplest terms, snoring occurs when the passage of air through your throat and nose is constricted in some way. When the passage of air is constricted, the tissues in your throat and nose begin to vibrate, making the sound that we know as snoring. Think of it like letting the air out of a balloon. If you simply let the air flow out naturally, it doesn’t make much of a noise. But if you pull the opening to constrict the airflow, it makes a loud noise. And that’s kind of how snoring works — the more constricted the airflow, the louder the snoring will be. What makes some people more prone to snoring than others? For one thing, people sometimes have more tissue in their nose and throat areas, which means that there’s more tissue to vibrate and make the snoring noise. Of course, this can be challenging for a spouse or anyone else who sleeps in the same room with a snorer. Sometimes, there are things someone who snores can do to limit the amount of noise they make during the night. In other cases, there’s very little that can be done. Read on to learn more about specific conditions that can cause snoring – both conditions you can do something about and those you cannot. The list of causes of snoring is fairly lengthy. Here’s a look at specific things that can cause you, or someone you know, to snore. Carrying too much weight can be a significant cause of snoring. People who are overweight or obese often lack muscle tone, and they have more fatty tissue than average. These two things directly contribute to snoring. If weight is the cause of your snoring, losing weight is the solution — it’s that simple. The way you sleep really matters when it comes to preventing snoring. For example, sleeping on your back can actually force your throat to relax to the point at which it constricts airflow, which naturally leads to snoring. 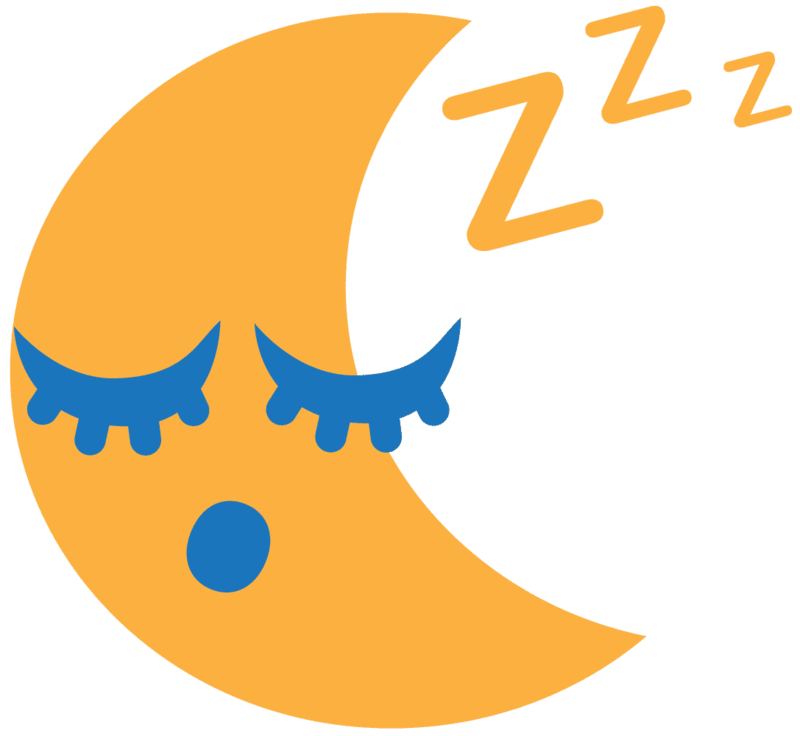 If you are snoring and looking for a quick fix, try sleeping on your side for a certain period of time. It’s possible that simply changing your sleeping position can prevent or stop snoring. Yes, simply getting older can lead to more snoring. As you get older, muscle tone decreases and your throat gets narrower. Even people who have never snored in their lives sometimes start snoring later in life. It’s hard to do much about this cause of snoring, other than to maximize muscle tone — with an emphasis on your neck area. As noted above, it’s not uncommon for someone suffering from a cold to start snoring — even if they never snore. The main source of snoring is constricted airflow, and a stuffy nose or sinus issues can contribute to that limited flow. Thankfully, if you’re snoring because you’re sick, the snoring should go away once you’re feeling better. On occasion, perfectly healthy individuals snore because of the way they’re built. Throat sizes vary from individual to individual, and, if you have a particularly narrow throat, you’re far more likely to snore. Of course, there’s really nothing you can do about snoring if your natural build is the reason behind it, which makes this one of the most frustrating causes of snoring. Sometimes the things that we use and take can cause us to snore. For example, some medications can relax your muscles more than normal, which can lead to snoring. Also, simply smoking cigarettes or drinking alcohol can cause snoring because of the way those substances affect your throat. As we have said,snoring is sometimes a temporary thing, and sometimes its related to your current weight or your natural build. But, in severe cases, snoring is a sign of far more serious medical issues that need to be addressed. For example, regular snoring can be a sign that you have sleep apnea — which is when your breathing is actually interrupted for dangerously long periods of time during sleep. Among the causes of snoring, sleep apnea is one of the most serious, and it’s certainly one that demands immediate attention. Other signs of sleep apnea include intense fatigue and irritability. If you snore loudly and are often still tired during the day, you may have sleep apnea. Also, if you gasp or choke while sleeping, you should consult with your doctor as those are additional signs of sleep apnea. If you suffer from any of the symptoms above, or if you’ve noticed these symptoms in someone you love, the best thing to do is treat it on your own or visit the doctor and to get tested so that the condition may be treated. In a vacuum, there’s nothing bad about snoring. For example, if you have a cold and snore at night, there’s nothing dangerous about that. Also, if you have too much alcohol to drink one night and you snore, there’s nothing to be alarmed about either. But, over the long-term, there are many risks associated with snoring. First and foremost, the interrupted breathing associated with sleep apnea is incredibly dangerous and requires immediate attention. Just one night with severe sleep apnea can cost someone his or her life. Other long-term risks include exhaustion. When you snore, you often wake up frequently and sleep lightly. This can make you tired throughout the day, which can affect your work and your relationships. There are also heart-associated risks when you snore. Long-term snoring can raise your blood pressure and put you at risk for stroke and heart attack. Snoring can also lower the level of oxygen in your blood, which can lead to pulmonary hypertension. Finally, snoring can cause regular headaches, which can also impact your quality of life on a day-to-day basis. Here’s the thing about sleeping: The things doctors would recommend someone do in order to lead a healthy lifestyle are the same things that can help someone stop snoring. Maintain a healthy weight, don’t smoke, drink in moderation, etc. — each of these things is good for you no matter what, and each can also help prevent you from snoring. It would be nice if there were a simple pill that cured snoring, but you will likely undergo a more extensive treatment if you visit a doctor about snoring. First, a doctor is likely to recommend a sleep study. A sleep study takes place overnight at a sleep center, or in your own home in some cases. What are doctors looking for in a sleep study? They are monitoring your oxygen levels, heart rate, breathing, leg movements, eye movements, sleep stages, brain waves and more. This will help them understand whether or not you’re suffering from sleep apnea, which may necessitate the use of a sleep mask that provides continuous positive airway pressure (CPAP). If you’re not suffering from sleep apnea, there are other tactics you can try to limit snoring. We’ve mentioned many of these tactics above, including losing weight, drinking and smoking less, not sleeping on your back, etc. But you can also try a different pillow, which helps snoring in some cases. And you can also try drinking more water — dehydration can make your nose and throat tissues sticky, which makes snoring more likely. Snoring can be a serious hindrance to the quality of your life, as well as the quality of life for anyone who sleeps in the same room with you. Make sure you take action as soon as possible if your snoring is affecting your life or the lives of others. Start with some of the simple things, including changing pillows, drinking less alcohol, sleeping in a different position and drinking more water. If you have serious side effects and snore regularly, it may be a good idea to visit a doctor first. A medical professional can always recommend the best course of action based on your unique symptoms. So many people deal with snoring, and it affects their lives in so many different ways. Why do people snore? This question doesn’t have to remain a mystery when you take action to learn about – and then address – the causes that are affecting your life.